In Stillness: Our Retrograde Winter 2014, I focused on the sky’s call for turning inward. Big rewards will come to those willing to take cosmic direction about self-reflection. This winter is about reassessing values, goals, and desires while the personal planets do their retrograde stints. Much action focuses on the I/Thou continuum with Venus Retrograde and Mars Retrograde in Libra. How are your relationships going with others? Then there’s the ultimate question when we’re talking about Libra, how’s your relationship with yourself? One of the major Libran issues is to lose yourself in others. Do you identify? Or are others losing themselves in you? One of my favorite New Age albums is Winter into Spring by George Winston. This year, it’s good to look ahead toward the next season, even in the middle of winter. Begin to imagine snow melting and a gradual shift from one emphasis and energetic to another, one that’s completely different. We’re heading toward a Cardinal Grand Cross. Winter 2014 asks us to pause and reconsider what’s important to us—what’s working and what’s not in our personal lives. Spring 2014 emboldens us to take action in an even bigger way than the usual Aries charge into the natural New Year, as the sap rises in the trees rises and human energy starts picking up with it. The Cardinal signs of Aries, Cancer, Libra and Capricorn are the turning points that mark each new season; therefore, they represent points of visible, discernible change. We associate them with changes in weather. They are the markers for shifting astrological weather, too. A Grand Cross consists of four squares joined at the crossed oppositions where the bottoms of the triangles overlap. Planets in square create a tension of initial incompatibility that nags to be worked out in some way to bring a workable energetic mix to the person or situation it represents. Better said, squares evoke creative tension. It takes creativity—the God stuff, if you will—to find your way out of the standoff. When the squares make a Grand Cross, you have to find your way out of an enclosed box. Whew! Let’s look at what each of the Cardinal signs calls us to do in order to see how we can think “out of the box” to find our way beyond the tensions and into the most creative manifestation of this opportunity to evolve. Aries asks us to create. It’s our purest power of new ideas and actions. Cancer nurtures our creations. Libra helps us involve others in whatever we design from art to work projects to human relationships. Here’s where we learn that partnerships and sharing our creations in an equitable way fosters peace on earth and beauty all around. Finally, Capricorn helps us put our creations into solid form, even to the point of leaving them as a legacy. These are four noticeable stages of manifestation. Before you apply this personally, time to consider the tight way the Grand Cross clusters on the 13th degree of the Cardinal Signs. In considering this Cardinal Grand Cross, let’s look at the Sabian symbols on its four points. Sabians are read “one up” unless they’re 0 on the dot, i.e., 02 Cancer 00 is 2 Cancer, but 02 Cancer 01 is 3 Cancer. Given that, we’d look to the 14th Sabian degree, where the planets Mars, Jupiter, Pluto and Uranus land on each of the points forming the Grand Cross in Cardinal signs. The Sabian Symbols may provide some deeper insights. Aries 14 (Uranus): A Snake Coiling Next to a Man and Woman in an Embrace. Capricorn 14 (Pluto): A Mayan Bas Relief. There’s a certain mystique involved in each of these symbols. Aries 14 conjures an image of the Garden of Eden and the snake, tempting the Original Couple into “something more.” It reminds me of an episode of Twilight Zone, where things go on almost to the end of the hour, perfect and light. The story is about an idyllic little town that’s like living in Happy Days with frosting. Only at the end, you find out this place is actually Hell. Divine discontent and human boredom are probably the age-old reasons for evolution itself, both individually and as a species. Cancer 14 is a man looking into the distance and the dark. It’s the void from which all things are created and born in the symbolism of the biblical Creation story. It may be a portrait of someone yearning to manifest more—or at least opening to more creative possibilities. Libra 14 is a man who has worked hard to create his surroundings and is ready for rest, to return to the dream state where we co-create with our subconscious. Many of our creative ideas and solutions come from such downtime when our minds are on autopilot and our psychological needs become characters in complex dream dramas to bring us information about what we need to do or resolve in our lives. Capricorn 14 involves a cultural artifact, perhaps digging it up. It has something to do with what we leave behind and what that symbolic object means. From my free associations with the Garden of Eden, the Creation story, dream time and cultural symbolism, these four symbols complement the process of birth, nurturing, sharing and putting into solid form what we create in the world that we see in the signs of Aries, Cancer, Libra and Capricorn. They just further touch on the longing and natural need for stimulation, creation and legacy that goes with the turf of co-invention with All That Is. You can delve deeper into the planets on each point and their astrological meanings—how the expansion and worldview of Jupiter plays in, the sudden insights or changes of Uranus, the passion and conflict of Mars, and the call to let go and transform completely from Pluto. You can see where these points fall in your own chart for another layer of insights. I've heard that a Cardinal Grand Cross can make accomplishing goals challenging because we want to accomplish everything at once. This lack of focus often leads to achieving little for the "shotgun" approach. That's why we're so lucky to have a retrograde winter for sorting out where our spring energies need to be channeled. Once focused from too many scatter shot goals, I envision the tensions of trying to do it all, represented in this Cardinal Grand Cross, as building to a creative explosion of new birth. It's much like the Big Bang "in the Beginning." Here’s an invitation to make things simple. If you have planets in or near 10-16 degrees of Cardinal signs, what you create, how you support your own creative process—and how you share and make it permanent is up for an extreme makeover. Don’t have planets close by? It doesn’t mean you don’t need this reassessment and creative resurrection. You just may not feel it quite as intensely or the tension quite as acutely. The call for creative overhaul is in the sky and in the air. What do I want to create in the world and what do I want to leave behind? These are the beginning and ending points of one big question. As you do your winter retrograde contemplations, knowing that you are building up to answer perhaps the largest question in life, it may help you get more out of this winter’s review process. Don’t forget to laugh and involve your inner child. Creation is like a big Etch-a-Sketch. Twist the dials, erase and start over. Play with it till you’re ready to do it in ink. This spring, you’ll have that opportunity. * Note: The Grand Cross will be in close orb over several days, often cited to peak on April 22. 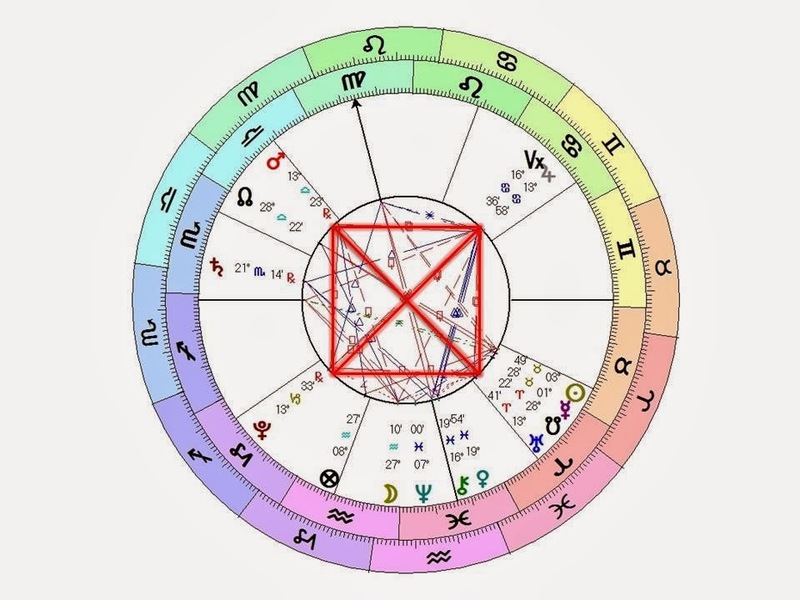 Since most Radical Virgo readers are American, casting the chart at the US Lunar Return the following day seemed the most significant date and chart to choose, providing a sociopolitical context to whatever we’re experiencing personally. This winter’s sky has a number of retrogrades in process or in store for us. Winter itself is a “retrograde season.” It asks us to go indoors, inside ourselves, and to reconsider our direction, needs, and desires—and, indeed, our life overall. Are we hitting the mark on what we want and where we want to be headed? Winter starts with Capricorn. Cap sways to rhythm of Saturn, the planet that rules time itself. Winter forces us to face: the sand keeps running in our hourglass. All those questions about fulfillment are more poignant, indeed more urgent, when there’s more sand on the bottom than the top. So what does it mean when retrogrades are piled one on top of another during a season with the same meaning as planets in retrograde? This is a cosmic hint of mammoth proportions, a predicted snowstorm of reverse and review activity, designed to send the wise person inside for shelter. Now I understand why one of my fantasies is to be snowbound in a New England cabin during a stormy winter (with my beloved, my cat, a big fireplace and all the food and wood needed to be comfy). All my life I’ve been trying to survive in an extroverted world when I’m actually an introvert. I’ve touched on this topic in previous posts. Like any complementary pair, we’re a blend of light and dark, yin and yang—introvert and extrovert. This winter in particular asks us to explore our “innie,” whether or not it’s our normal modus operandi. Even if you’re on the fence like me—I’d say I’m 51% intro- to 49% extrovert—it’s important to honor both halves. It’s equally important to honor your 10% innie, even if you’re a 90% outie. Denying any part of ourselves can wreak havoc in our lives once the non-dominant side has had all it can take of being ignored. To that end, I recommend a book called Quiet by Susan Cain. It’s all about the introvert/extrovert continuum, one I believe this winter begs us to explore—and to reap the benefits of our introverted side, whether it’s dominant or recessive. Susan Cain speaks to all the famous people who changed our lives because of their innie orientation, just as you can change yours by honoring this side of yourself. She coins the term ambivert for people like me—maybe you’re one, too—the switch-hitters in life who can go to bat with either side of themselves as the situation requires. The biggest thing the author does in this book is to reclaim the positive aspects of introversion and why they are not to be ignored (note from me--especially this winter). Bonus: The Kindle version is currently only $2.99. 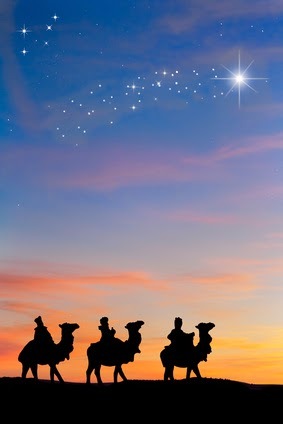 Venus (21-Dec-13 to 31-Jan-14, range 28-13 Capricorn) For Venus, review love and money—partnerships. Also consider ambience, beauty—what surrounds and feeds your sense of splendor—and what brings you peace and balance. If you’re not getting what you need in any of these areas, time to readjust, reconsider and renovate. What do you value? Mercury (6-Feb to 28-Feb-13, range 3 Pisces – 18 Aquarius) How you think, communicate, do business, and make short trips are key reconsiderations. This time is excellent for reviewing the books and finding mistakes, and probably a good time to do tax prep to figure out what receipts and data you might be missing while still having time to meet the US April 15 tax deadline. A perennial, even amusing question to ask yourself is, “What was I thinking?” That applies especially to dilemmas that seem to overwhelm you. You thought yourself into it; now’s the time to figure out how you can think yourself out of it. Mars (1 Mar – 19 May, 2013, range 27-9 Libra) For Mars, we get to review how we do battle; harbor hurts, and generally “put ourselves out there.” Are we too “yang,” too wimpy—too touchy or too unforgiving? When we don’t forgive, we’re still keeping our sword sharpened for further injury to our perceived wrong-doers, often long after they have forgotten the incident(s) that still have us all fired up. The battles we do in our minds still affect others at an energetic level and, especially, ourselves. Although it’s not an “exclusive,” those who lick their wounds for way too long often have natal Mars in water signs, combining the strong feeling nature of Cancer, Scorpio and Pisces with the anger and wounding side of Mars. Water flows without end until it has a container. If you’re in need of containing long-flowing hurts, now’s the time for contemplating how. With Mars in the relationship sign, the emphasis is obvious. Jupiter (6-Nov-13 to 6-Mar-14) To me, Jupiter Retrograde offers an opportunity to learn that you don’t always expand or experience prosperity or blessings by going after them. Sometimes, you just have to sit still and let them come to you. While you’re quiet, contemplate how far you go to get what you want and what it costs you. Are you miserly or too generous? Where is generosity to yourself in the equation, if you’ve got a Santa Claus nature? Where are you with your beliefs, spirituality and ongoing education? We live in Jupter-Sag-9th House World now where you cannot thrive without being willing to become a life-long learner. What don’t you know yet? What knowledge do you need acquire, and where do you already have a PhD? 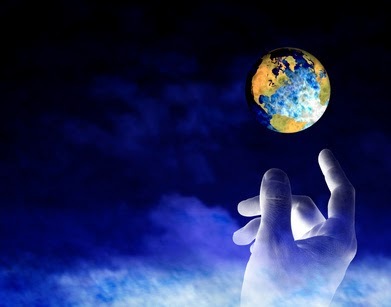 Release tying up your energy for applying it somewhere else you might have discovered needs attention during one of your other planetary reviews. With Jupiter in Cancer, how family, home and hearth "make you more" is also up for review. I’m just focusing on the winter retrogrades. Come spring and summer 2014, there will be new ones: Pluto, Mercury (again), Neptune and Uranus. See Café Astrology for more dates and visuals. You’ll be better prepared, having honed how you “retro” over winter. 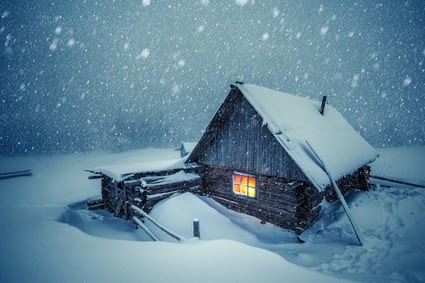 Wouldn’t it be wonderful if we could go into that winter cabin I dream about for as long as we want or need to regroup? I had a dream last night about two different, concurrent retreats, and it’s amusing in retrospect to see how I managed to alternate staying at the two different retreat sites, mixing and matching events and sleepovers, my Mercury in Libra in full command of a dilemma. In waking life, we’re lucky to get one retreat, much less two—and the retreats we get are likely those mini-oases we create ourselves in the bombardment of modern busyness. But create them we must for our sanity and humanity. Getting back in touch with the rhythms of nature is essential to our mental, spiritual and even physical health. This is what winter is for, and it’s no coincidence that one of the most beloved Christmas carols is Silent Night. If you can afford it in time and money, book an actual retreat. Consider not avoiding winter weather, tempting as it might be. A cabin in the snowy mountains might be more conducive to inner time than a beachside resort where cocktails and schmoozing are a constant temptation. However, if you are like my dear introverted friend who has an extroverted husband and hates the cold, she can sit for hours in Hawaii just staring at the ocean. Commit at least an hour a day in winter to meditation, yoga and/or reading—more if you can make the time. End your day with at least a half-hour of silence, if possible. Sleep more to let your dreams and restorative resting state do its magnificent healing work. Tell people your plans for R&R so they don’t expect your normal level of activity or communication. Most people will give you your space, as long as they understand what’s going on—and they’re reassured there’s nothing wrong between you. Review any journals you keep and start one for 2014. If you have been too busy to journal, as I’ve been this year for the most part, review your email conversations with your intimates for The Year That Was. You’ll be amazed at what this practice reveals about where you’ve been and where you want to head next. It’s so important, at least once a year, to view your life from a bigger perspective than day-to-day living and coping. Change what you drink. Avoid alcohol, coffee and other stimulants in favor of herbal tea and decaf green tea. I thank Mma Ramotswe, the No. 1 Lady Detective in the Alexander McCall Smith series, for turning me onto Bush tea from Southern Africa. We know it here as red Rooibos tea. I like Celestial Seasoning’s Madagascar Vanilla Red, one of three rooibos teas they carry, but there are many others excellent brands. Another standby, made for this time of year, is Tension Tamer, also by Celestial Seasonings. Change what you eat. Eat seasonally for winter. Instead of focusing on a “diet” after the holiday overdo, listen to your body and its needs. Eat lots of nourishing foods like lentils, soups and stews that are warm and comforting for winter. Tune into when you’re full and what your body craves. See recipe below for one of my winter faves, an immune-boosting herbal chicken soup. Spend time in quiet places like nature, churches, cathedrals or synagogues, particularly when you can simply “be” in the silence. These holy places--nature as much as any other-- have absorbed the breadth of life. In the case of religious buildings, they are infused with prayer and ritual vibrations from years of spiritual activity. They have an aura of peace and love. Light a candle, if appropriate. Say a prayer for insight. Set aside at least part of each day as a No Plan Zone. During this hour, or whatever time you can spare or designate, do whatever you feel like—what draws you. This following of your instincts will lead you to any reassessments and reconsiderations you need, because you are creating the space to let what’s important to you bubble up from your subconscious. Used for winter cold and flu prevention or shortening, if you get a winter bug. Add other seasonings and veggies. 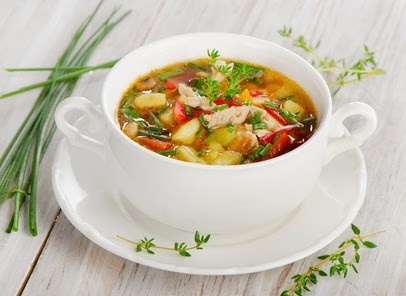 Stew 1 hour or more to desired tenderness of vegetables. * I have found codonopsis root difficult to find in the Sacramento Area. The soup is still immune-boosting without it. I have also successfully replaced it with Echinacea in a tea infuser, but if you try it, be careful not to use too much (2 Tbsp. max) or steep it too long, as it adds a more bitter taste. I got this recipe from Judy Fuller, a dear friend of decades and an amazing yoga teacher, bodyworker, herbalist and healer. Herbal HerbDisclaimer: This article does not mean to imply any recommendation or certification of any products or herbs mentioned. It is provided purely for informational purposes. Please make your own determination about the quality and effectiveness of herbal remedies, especially when considering them for very young children. This article is not meant to constitute advice, nor is it meant to replace medical treatment.